As an adaptive reuse project, the Weinberger Courthouse Renovation involved the restoration and seismic upgrade of a historic six story 63,000 sq. ft. structure located in downtown San Diego. The building was originally constructed in 1913 in a distinctive and masterful meld of the Classical Revival and Spanish Colonial Revival architectural styles. Ornately adorned, the building’s portico, with its grand Ionic order colonnade stands as San Diego’s only surviving Classical Revival façade. Flattened, abstracted, classical ornamentation for the frieze, draws from traditional Meso-American or Native American designs, featuring stylized arrow and shield motifs. Arched semicircular fanlights surmount first-story windows, and bracketed iron lanterns flank the central entrance. The simpler second-story fenestration has rectangular windows and terra-cotta sills. Above the portico, the third-story windows are each framed with low-relief pilasters with stylized motifs and a terra-cotta-tiled stringcourse. The attic windows are capped by an additional tiled cornice and painted wood panels below a bracketed eave to the low-hipped roof clad with terra-cotta tiles. Framing the portico are two square, five-story Spanish towers with curved corners and colossal low-relief pilasters. A stringcourse above the third story delineates a fourth-story belfry with a tall arched window at each side, flanked by low-relief pilasters and brackets. A terra-cotta cornice and a stucco parapet continue the classical stylization at the top of the tower walls. 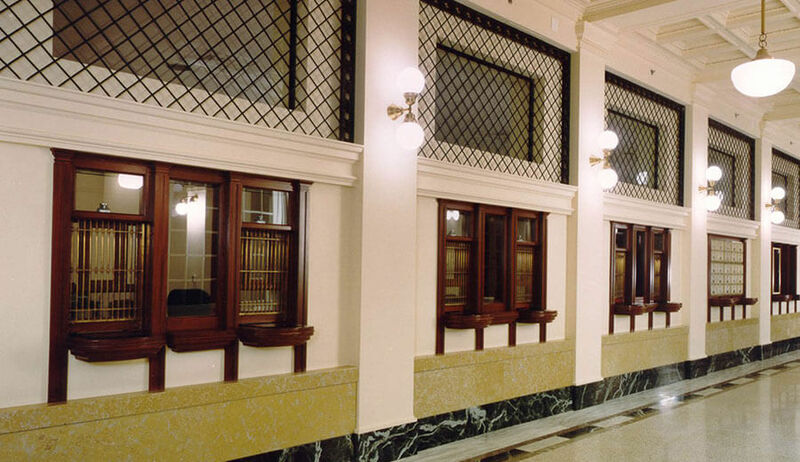 The work combined the preservation and restoration of historic elements with new courtrooms and offices that reflect the original architectural design. Soltek closely coordinated restoration activities among historical consultants and uncommon trades specializing in historical and ornamental commercial work. 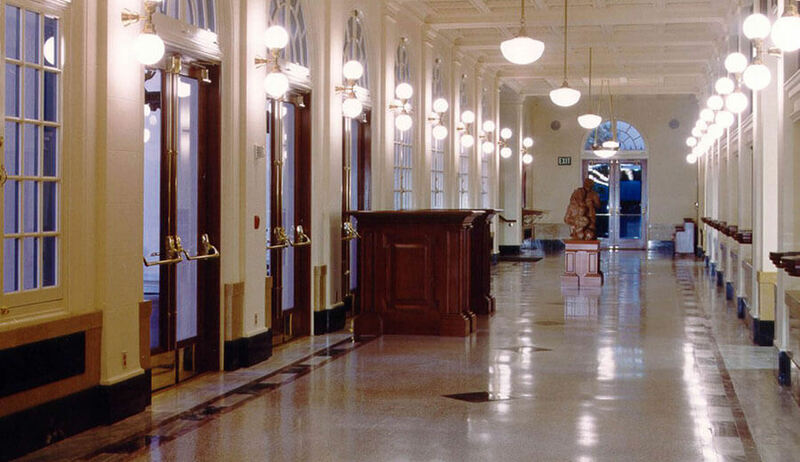 Our talented craftsmen re-created the elaborate ceiling, bronze walk railings, copper sheet roof system, and reconditioned many existing historic fixtures. 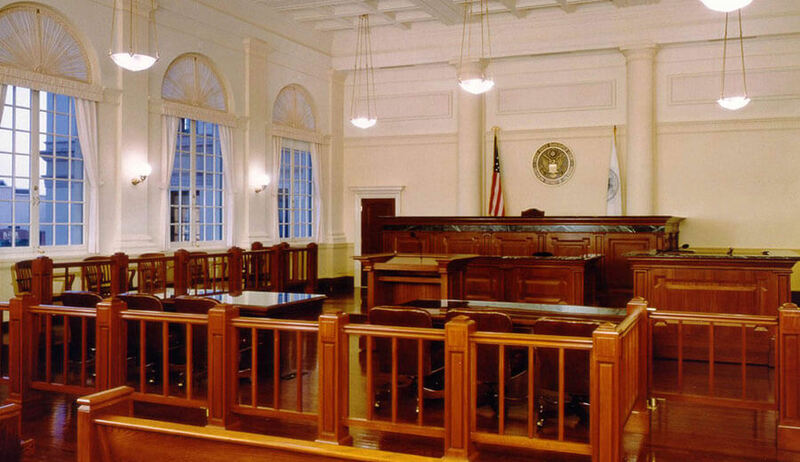 Mahogany casework, millwork and paneling were included throughout the building, in addition to every courtroom and all judges’ chambers. The restoration effort replicated the style of each original architectural feature. 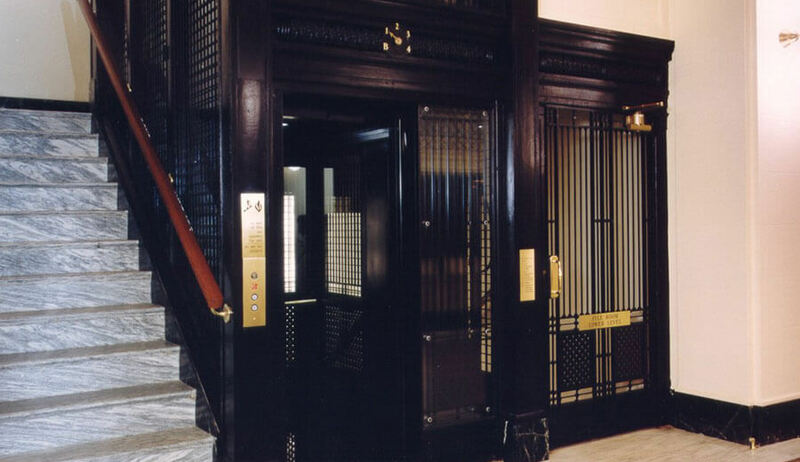 A particularly notable feature is the fully modernized, historic glass and ornamental iron elevator, which was salvaged and re-installed to operate in unison with the new elevators. 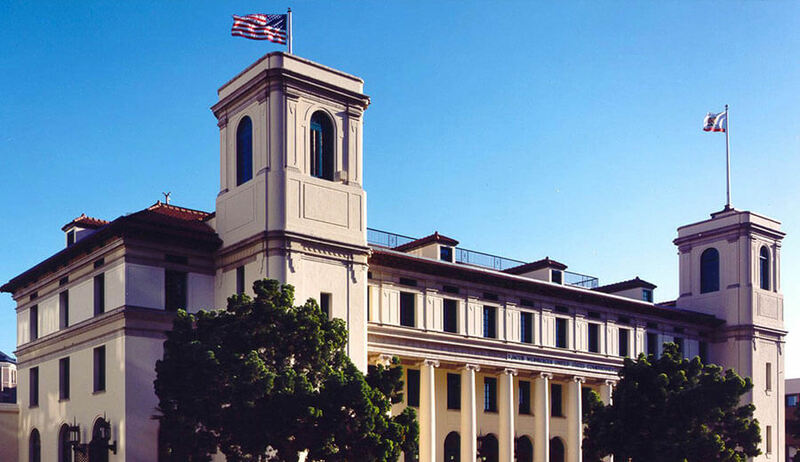 The Weinberger Courthouse has received numerous awards in recognition of the preservation of one of California’s prominent architectural landmarks.